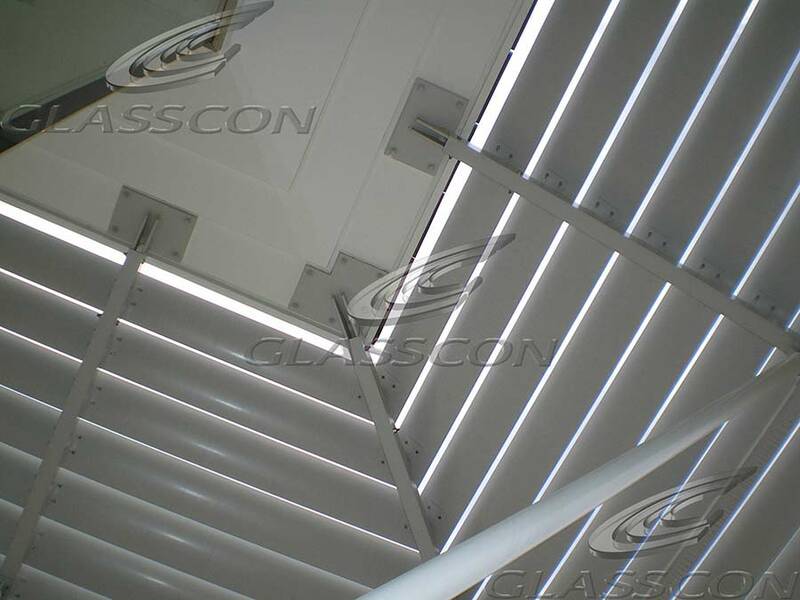 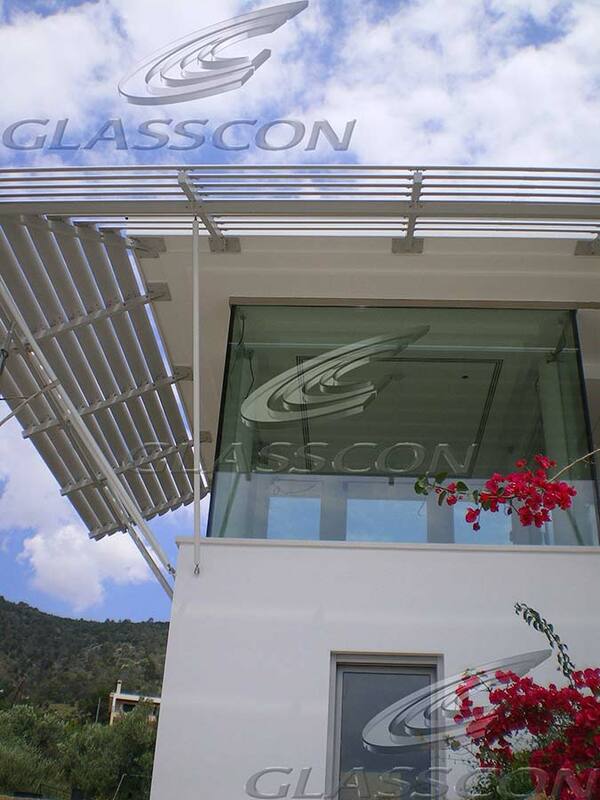 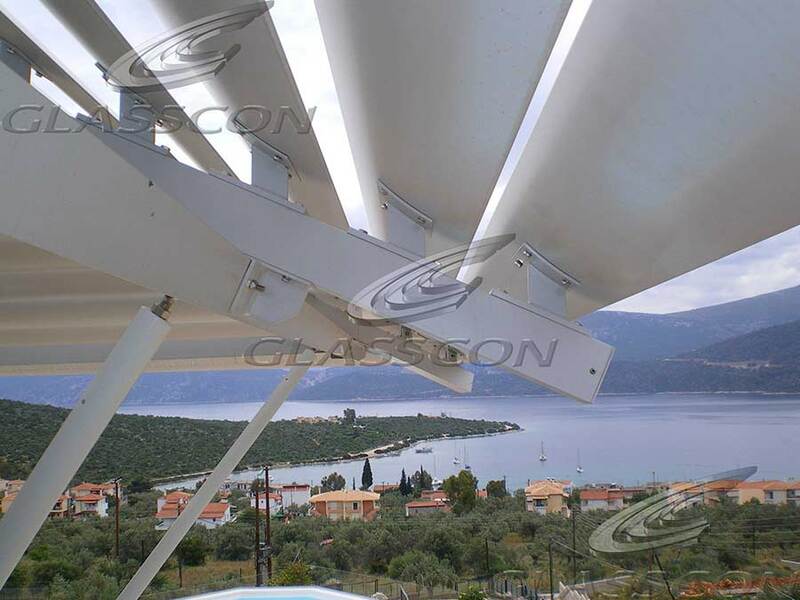 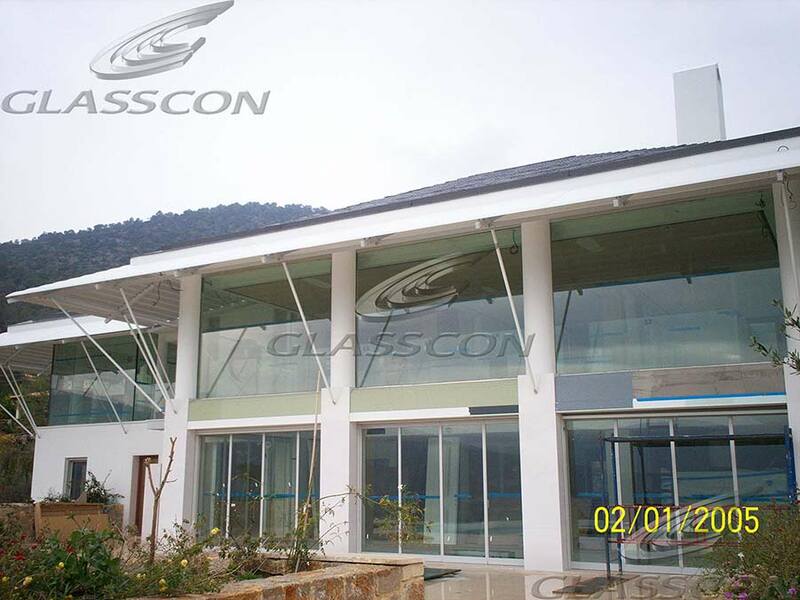 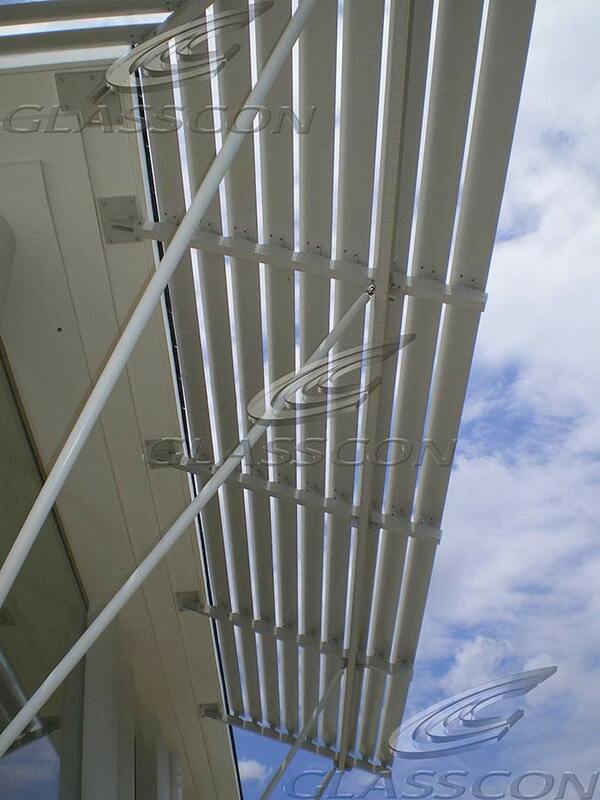 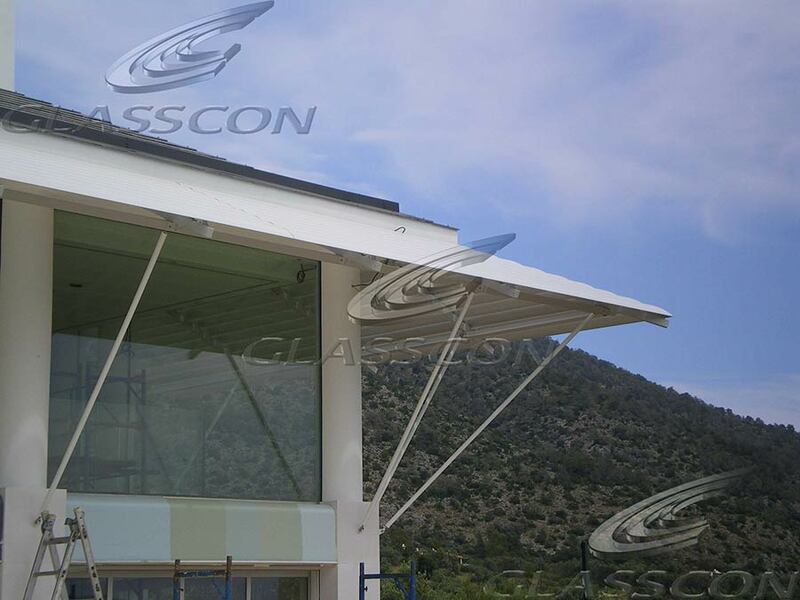 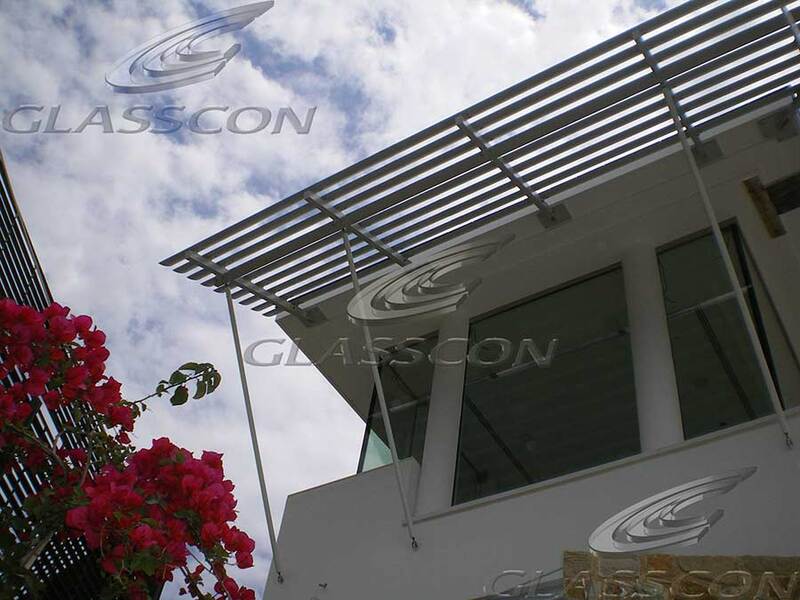 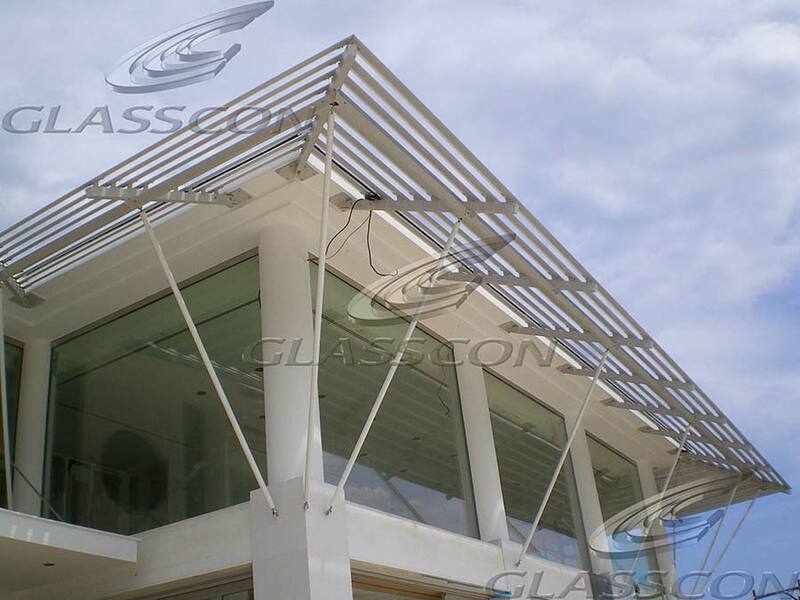 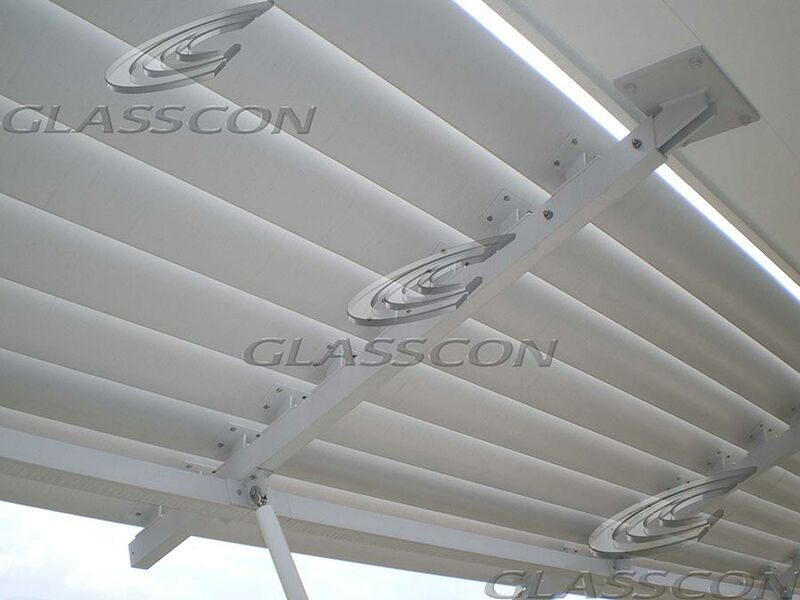 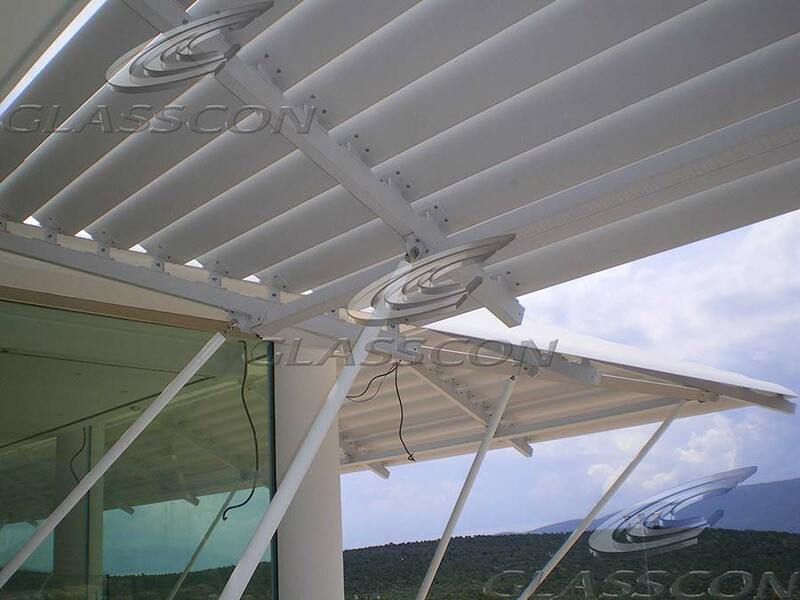 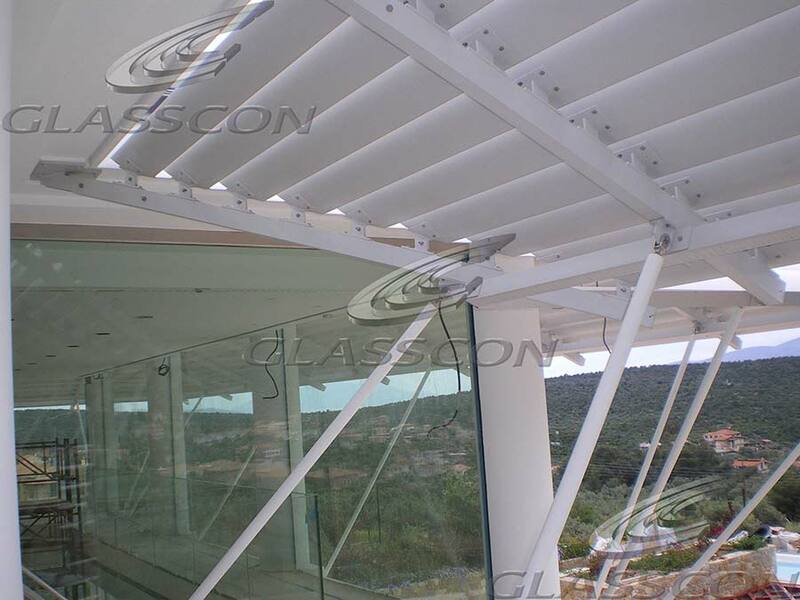 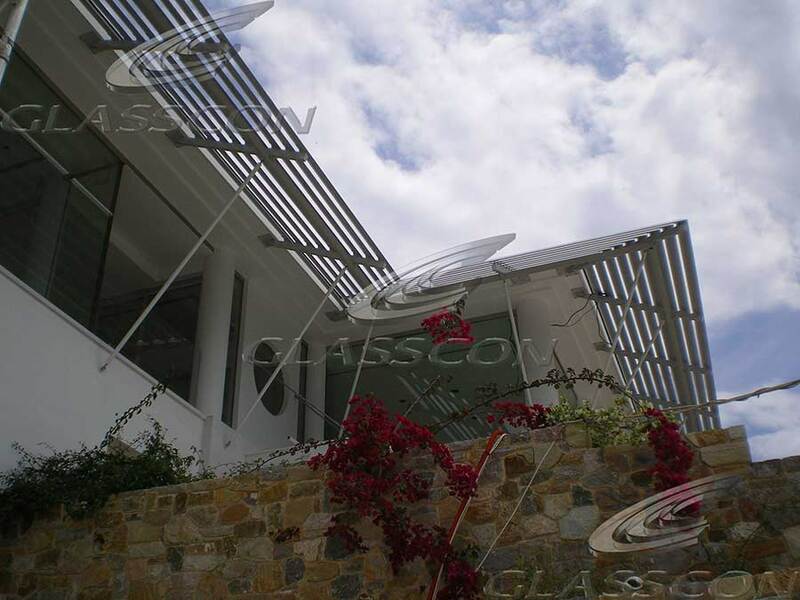 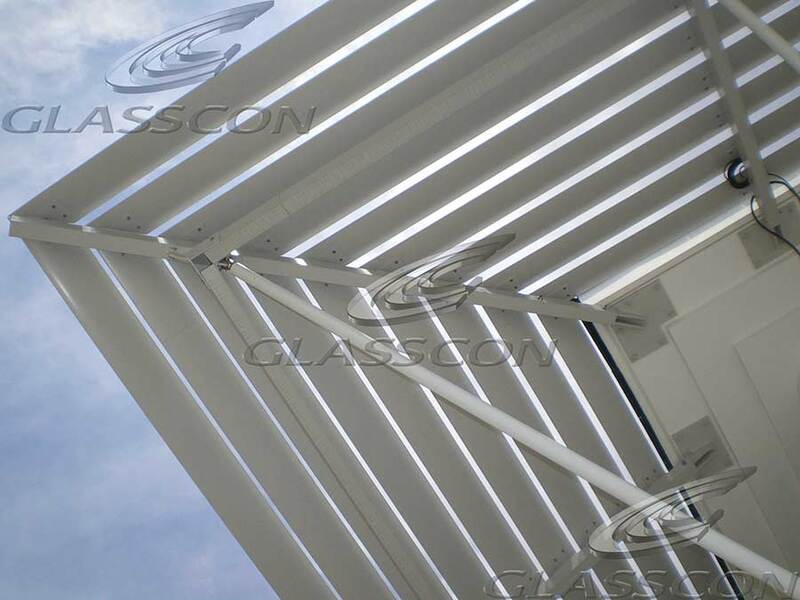 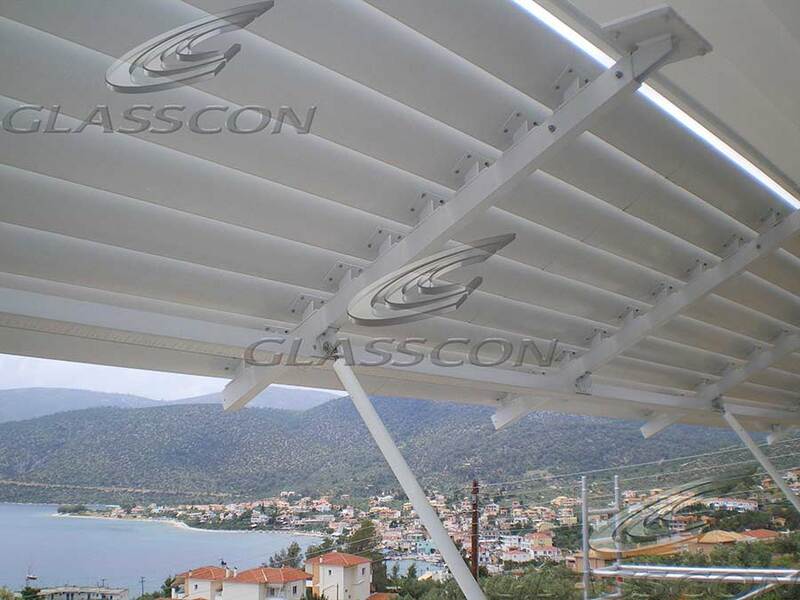 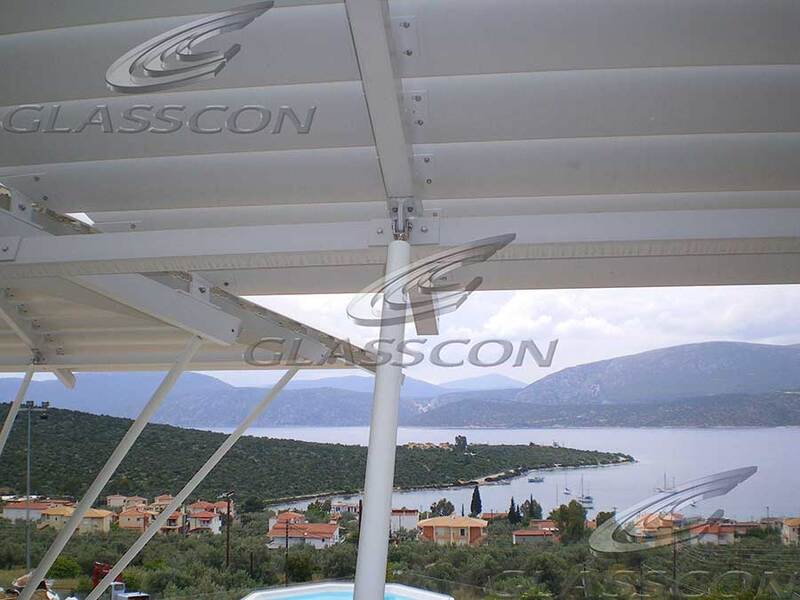 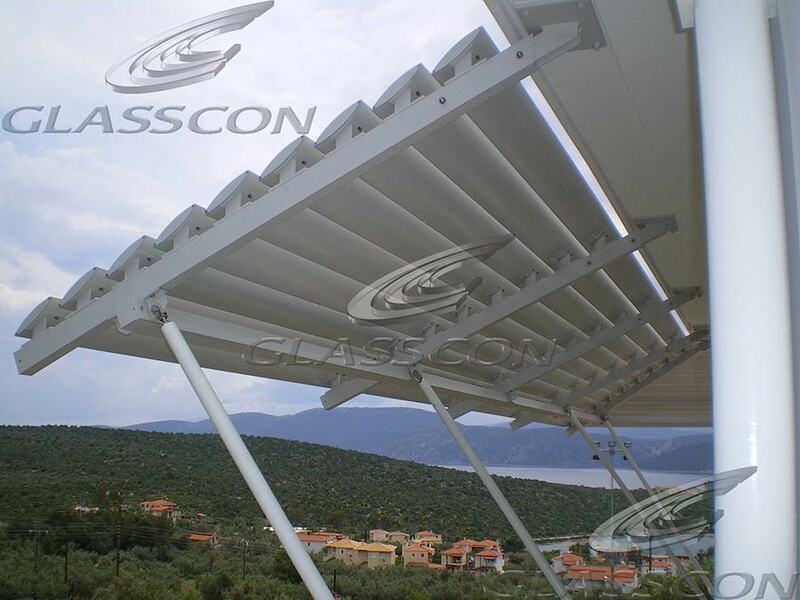 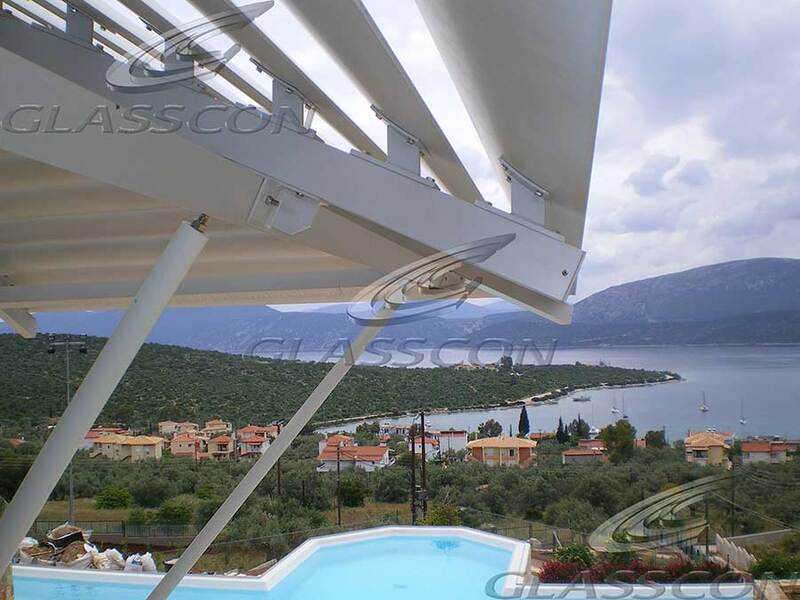 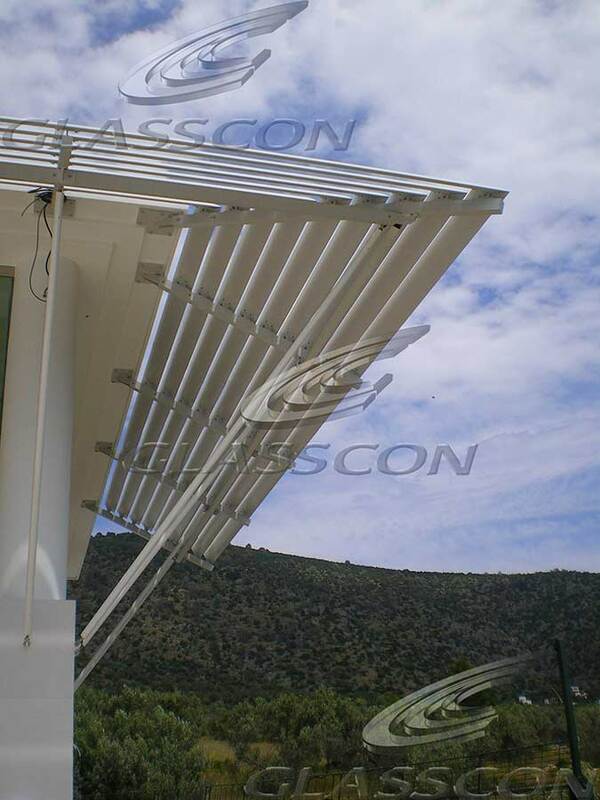 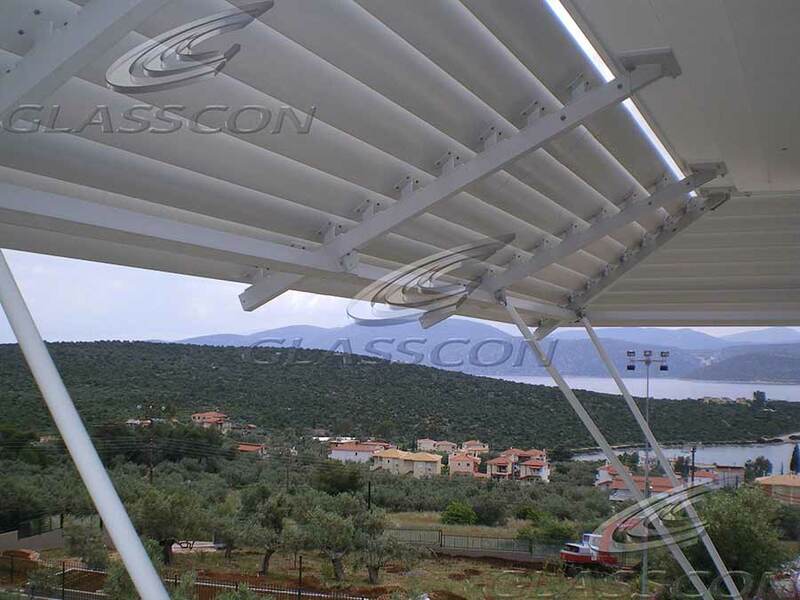 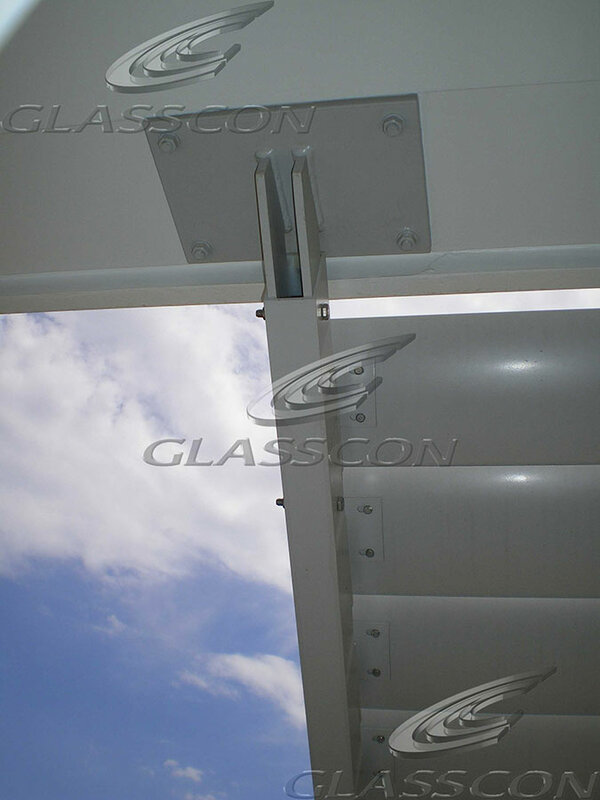 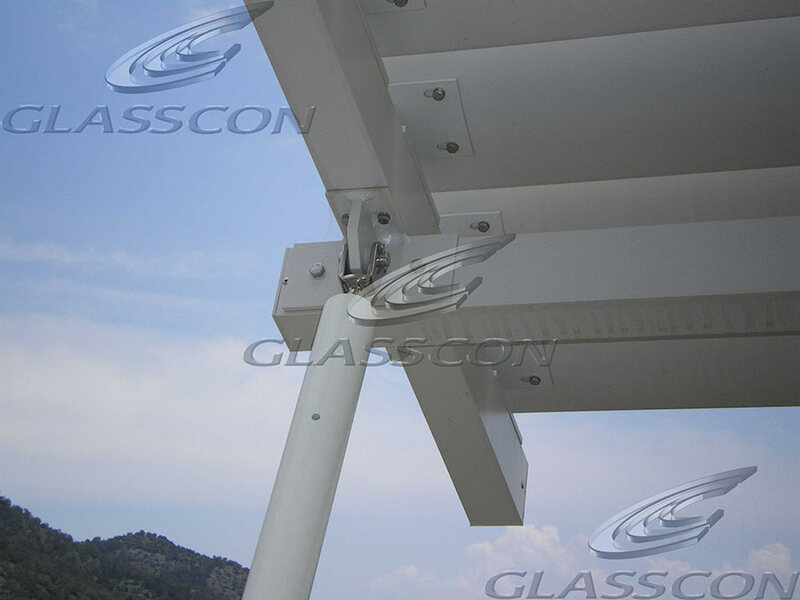 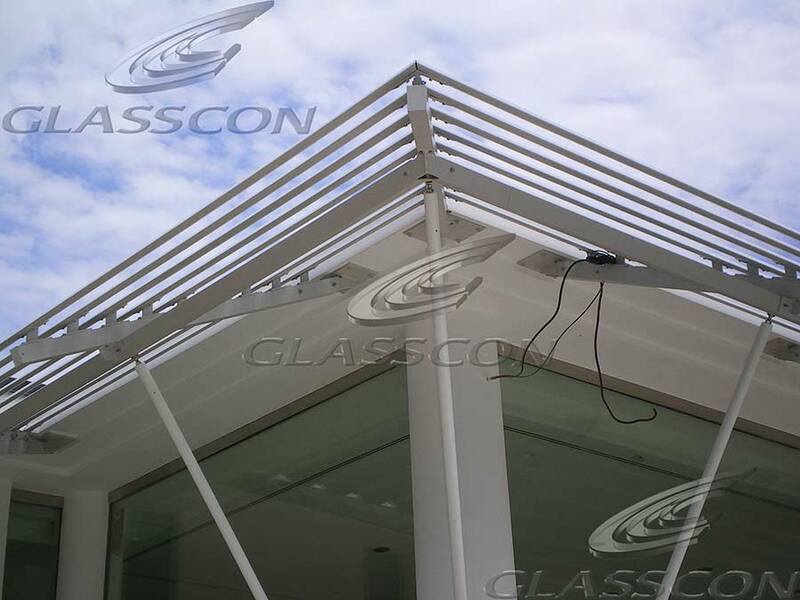 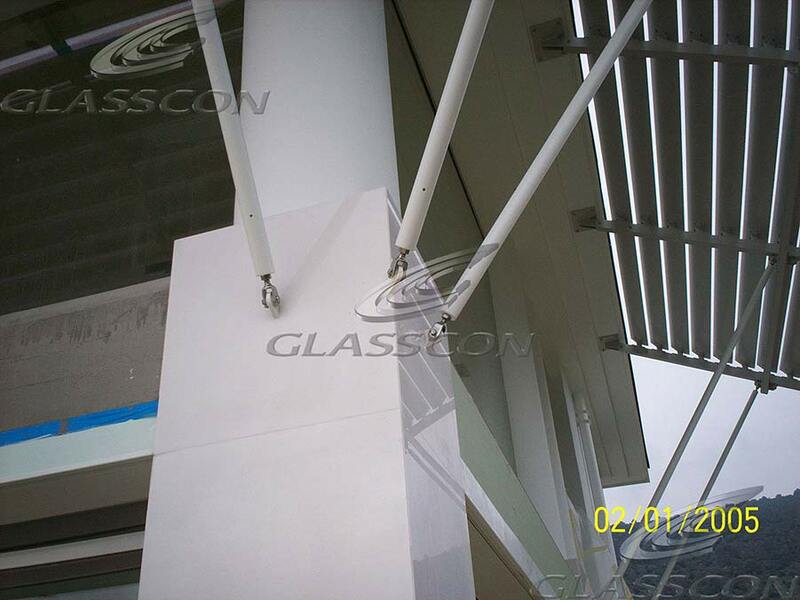 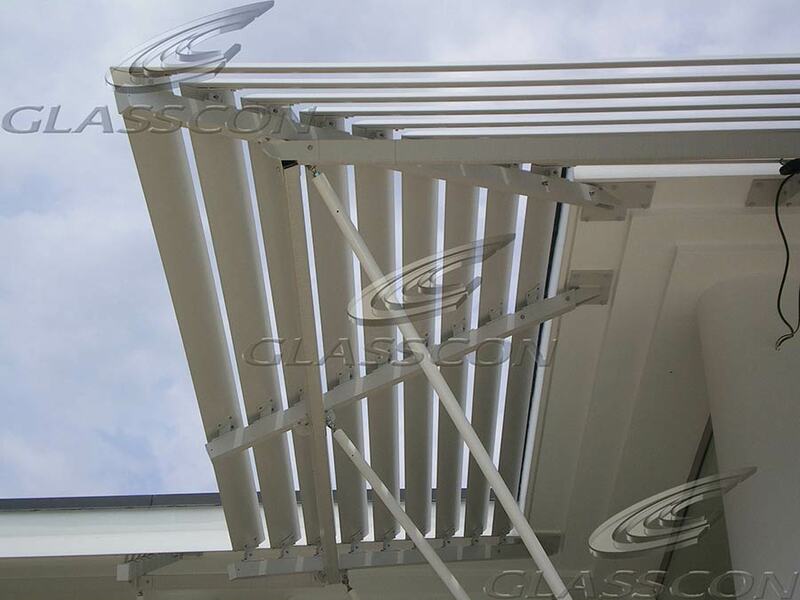 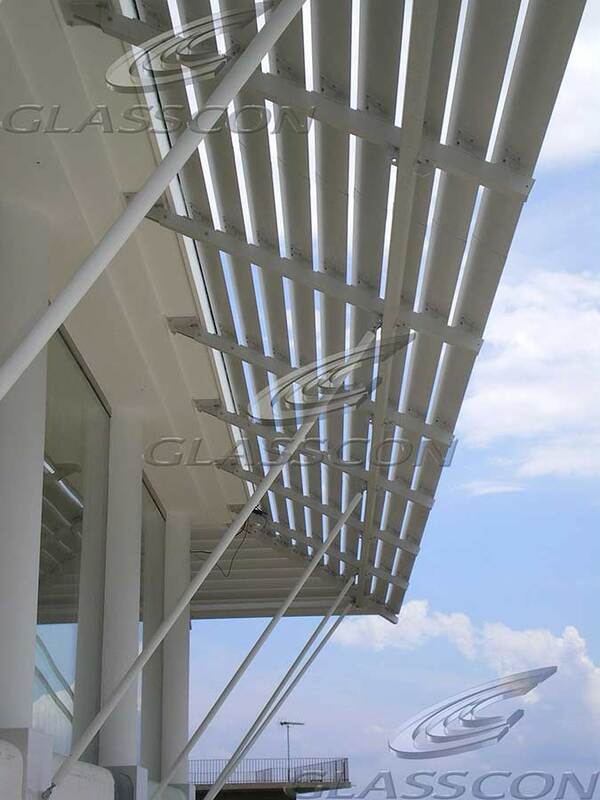 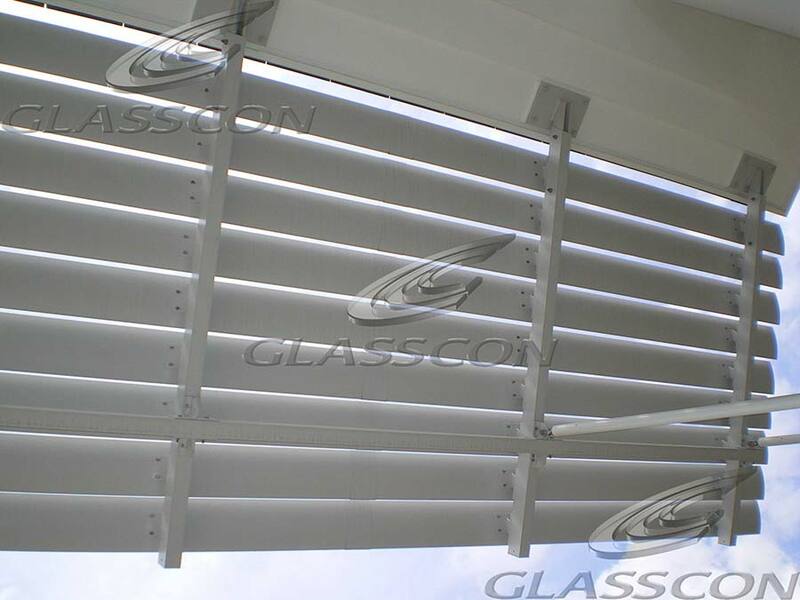 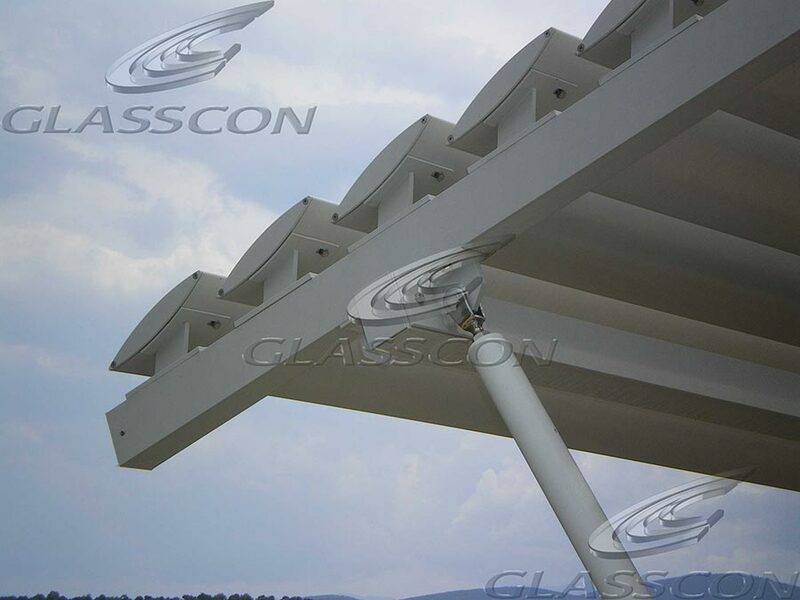 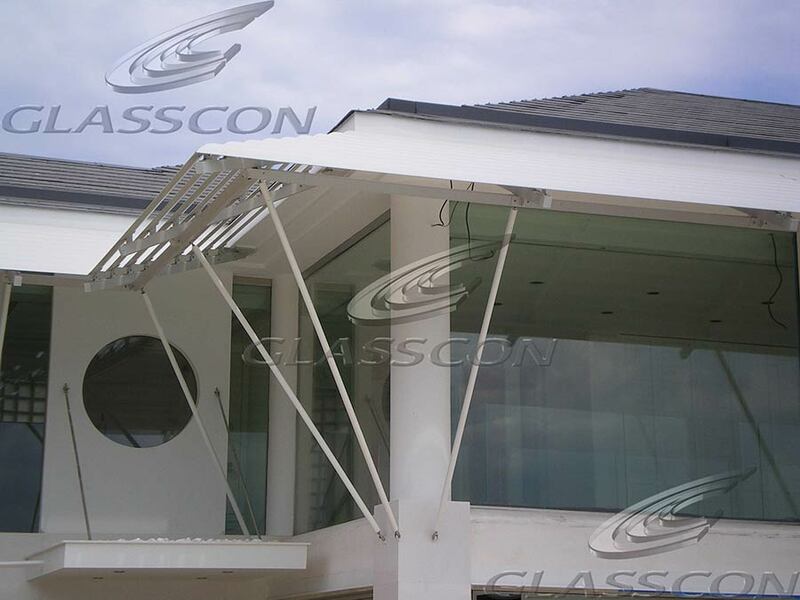 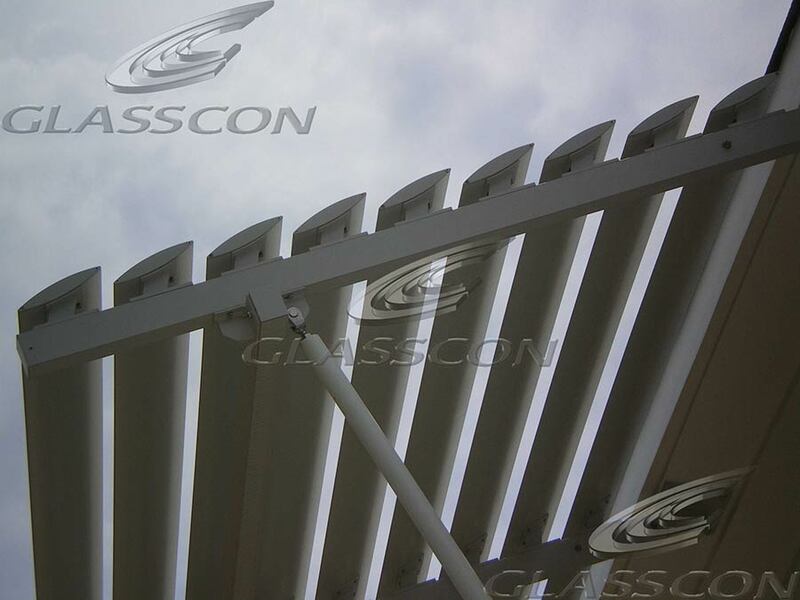 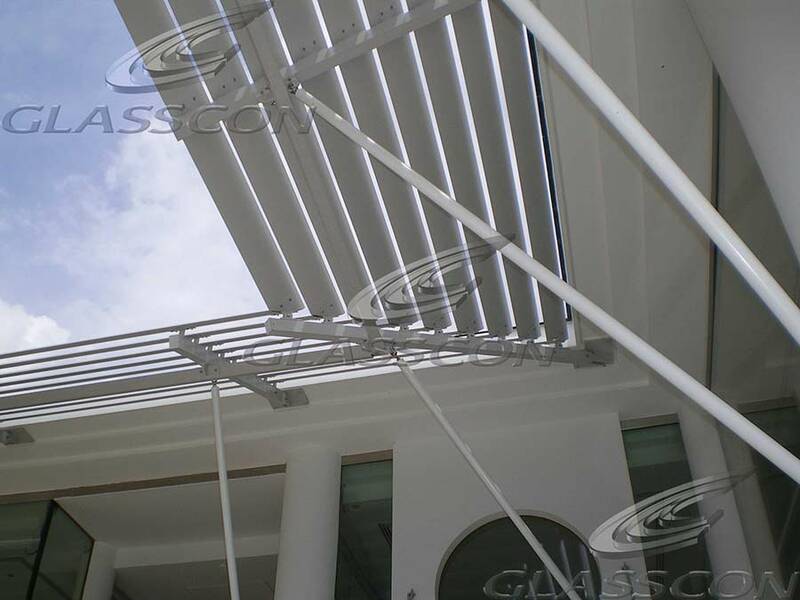 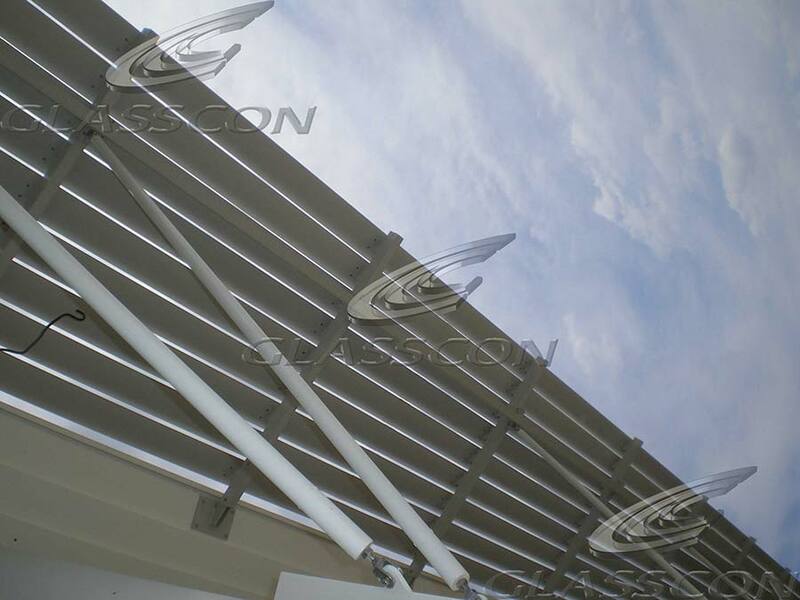 GLASSCON designed and constructed a fixed shading system of aluminum louvers for a private residence. 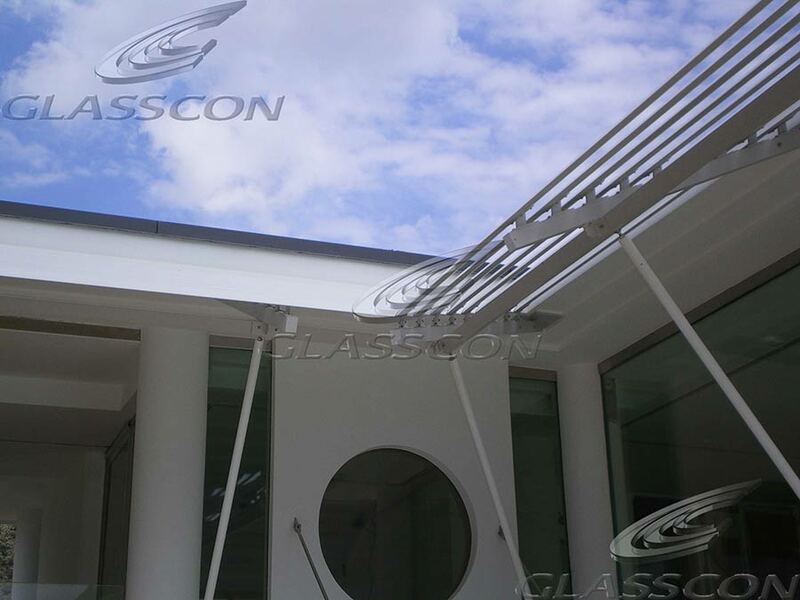 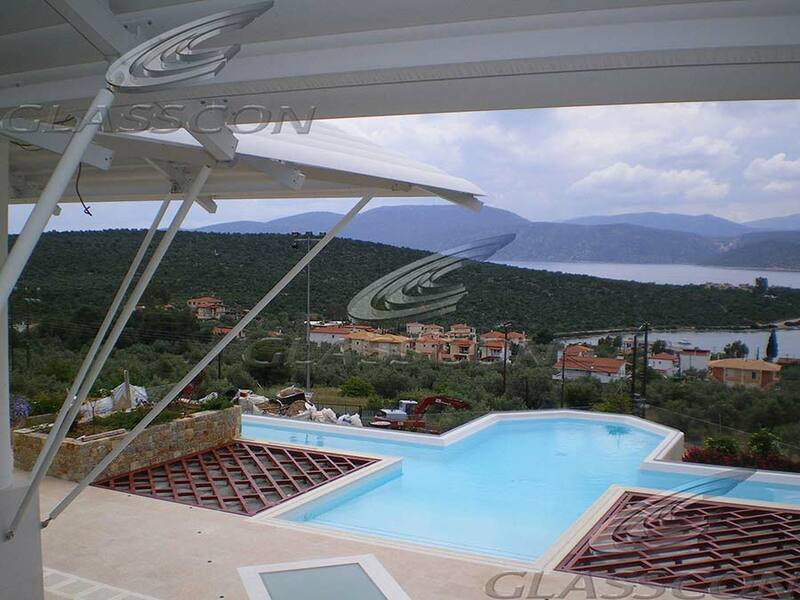 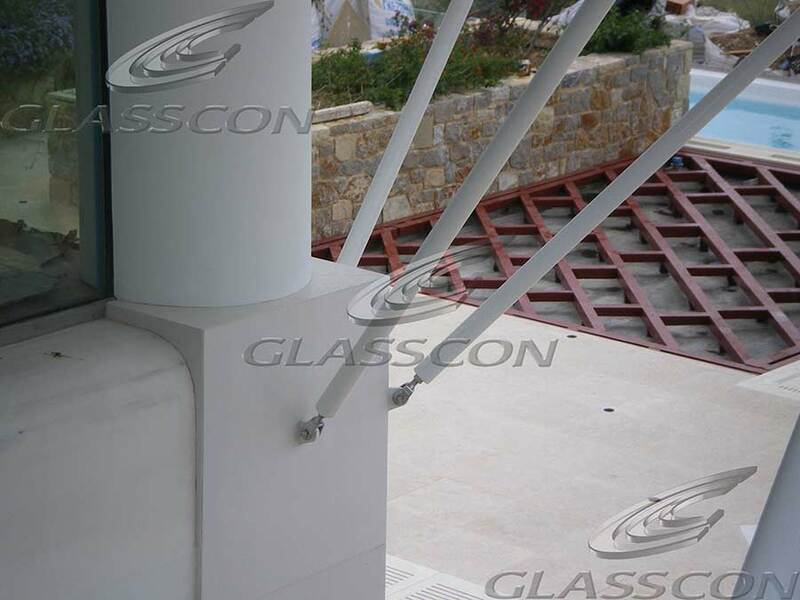 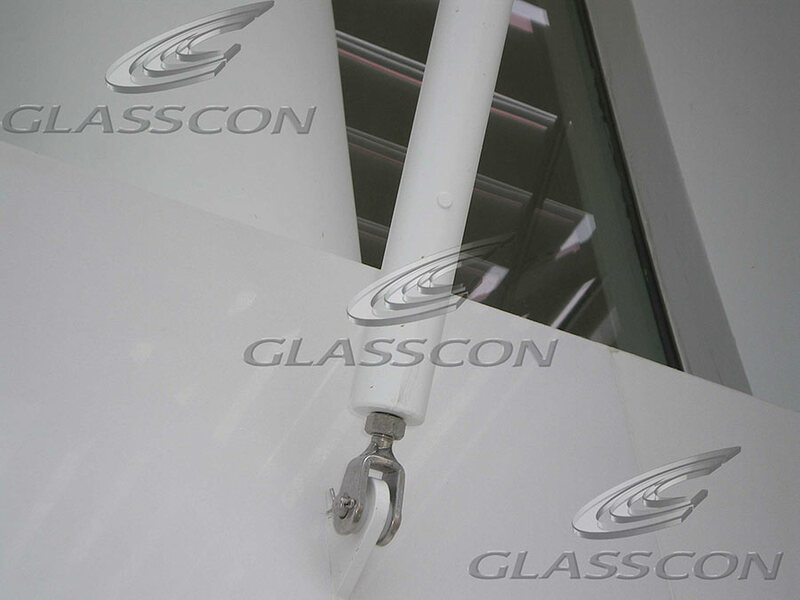 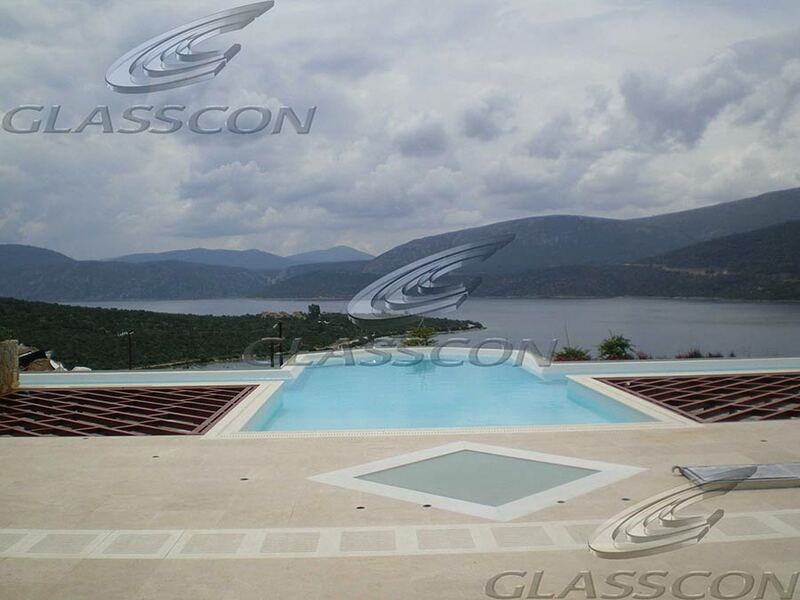 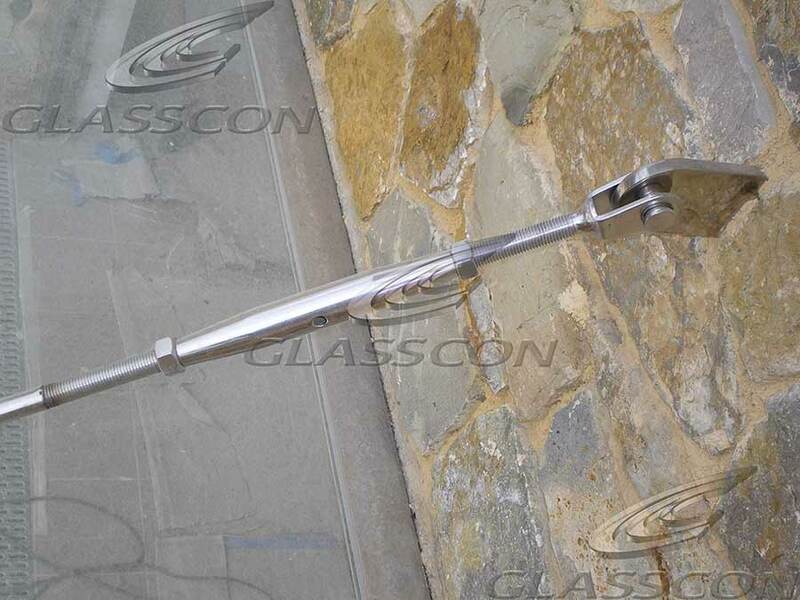 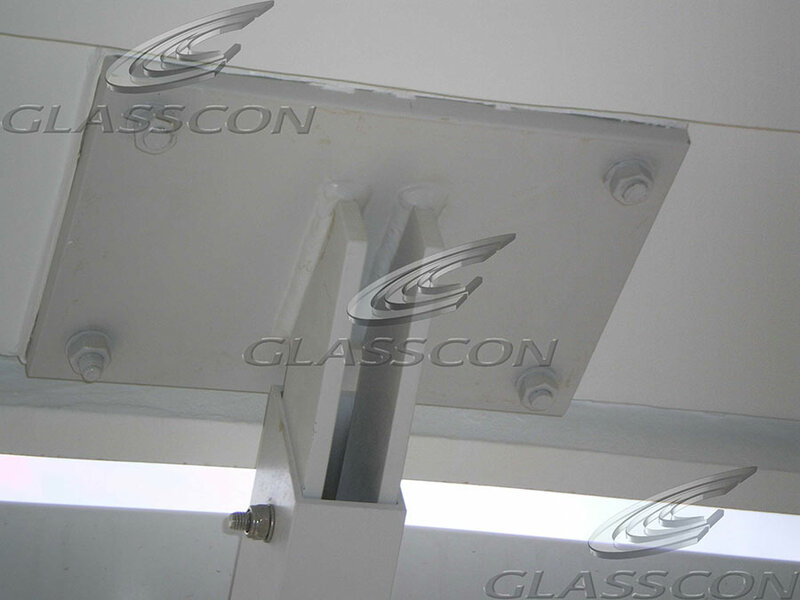 GLASSCON installed fixed aluminum shades as a CANTILEVER in a country-house. 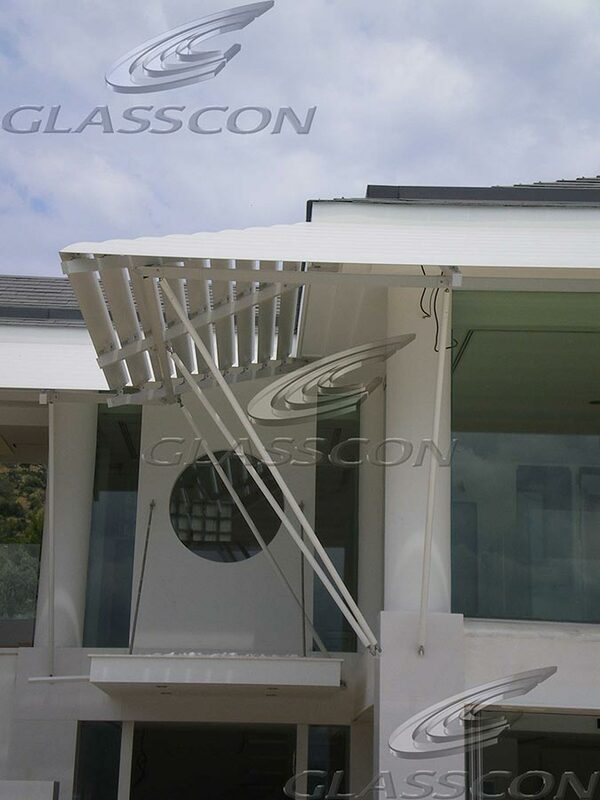 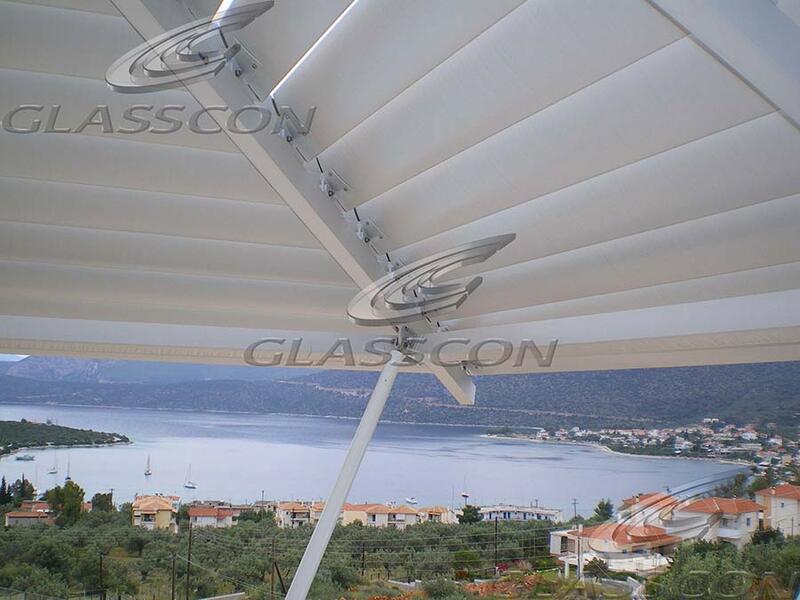 Because of their unique design (CANTILEVER STYLE) , free view and effective shading is guaranteed at all times.